So, you are ready to play huh? This section will help you get to it. In order to get connected up with other players there has to be a meeting place for everyone to agree on the game that will be played and how many players will be playing. This is accomplished using Game Rooms. To view all the currently active game rooms click the Game Rooms link in the account information window at the top right of the site. You can only enter game rooms for games you have configured and that you have not already entered. You may only enter a game room once with your account even if you are logged in from multiple computers or different browsers. If you do not have permission to enter a room the icon will be greyed out. 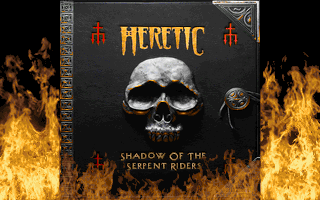 Some games, such as Hexen, offer options that each player can select before the game starts. These options are presented above the launch button. After you have launched the game and the client has connected to the server, if the game rooms was setup to use audio chat and you have it enabled on your client you will be connected to the audio chat channel before the game starts. There will also be an audible notification when players enter leave the game room. This can be very helpful when deciding which game options to set. NOTE: You are not considered an active player in the room until you click the launch button. This is so players can chat (not available yet) in the room before starting a game if they wish. Select the game that you want the game room to be setup for. The dropdown list will only contain the games that you have configured under the currently selected profile. Select the maximum number of players that will be allowed to take part in the game. The maximum number of players will vary depending on the game selected. Once you have selected the maximum number of players you will be allowed to select a server to play on. The dropdown list of servers will contain only the dedicated servers that have enough available connections to house the amount of players for your new game room. 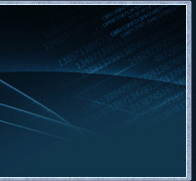 If you do not want to use a dedicated server, but prefer to be the server instead you can select the I am the Server option and you will then be able to enter a host IP address or host name that will used to connect to your computer by the other players. It will default to your public IP address. Your game room will not be visible to the other players until you launch the game. NOTE: This option is not recommended if you are behind a firewall. If you are behind a firewall and understand how and have access to modifiy its settings then you will need to port forward (hardware firewalls) or allow traffic (software firewalls) on the UDP port specified in the currently selected profile. The default is 6000. It should also be noted that this is only necessary if you are expecting players from the internet to connect to your peer-to-peer game. If all players of a peer-to-peer game are on the same local arena network (LAN), modifying the firewall settigns is not necessary. If the selected server is owned by you then you will have the option to make the room a permanent room. When a room is made permanent it will not be removed when all the players leave the room. However it can be deleted by the server owner (you). If the selected server allows audio chat you will have the option to select which codec and quality value will be used based on the server's maximum allowable settings configured by the server admin. The bitrate is automatically calculated and displayed to right of these settings. Even if the selected server allows audio chat you can choose to enable or disable it using this option. Some games, such as Doom, offer additional options that can be configured before the game starts. These options will appear to the right of the previously stated options. So save your newly configured game room and enter it, click the save button. To delete a game room click the delete icon ( ) to the right of the room. Rooms can be deleted or removed in several ways. 1. If you are the owner of the server. 2. If you created the game room. 3. If the max number of players for the room launch the game and then disconnect from the room (this could change). If you do not have permission to delete a room the icon will be greyed out.